The Prime Minister, Rui Maria de Araújo, officially inaugurated the National Park Kay Rala Xanana Gusmão, on October 24th, during a walk up to the hiding place of the Commander in Chief of Falintil, Kay Rala Xanana Gusmão, in the area of Bunaria, Soru Kraik suco, Administrative Post of Hatudu Leolima, in the district of Ainaro. Approved in the meeting of the Council of Ministers of October 21st, 2015, the Head of Government emphasized that the National Park Kay Rala Xanana Gusmão is an historic site, since it was here, in September 1990, that the Australian journalist Robert Domm of the Australian Broadcasting Corporation (ABC) interviewed for the first time the Head of Falintil and the fight of the Timorese Resistance was made known to the world. "The National Park symbolizes the resistance, the work and the sacrifice of the men of the Armed Front, the Diplomatic Front and the Clandestine Front. 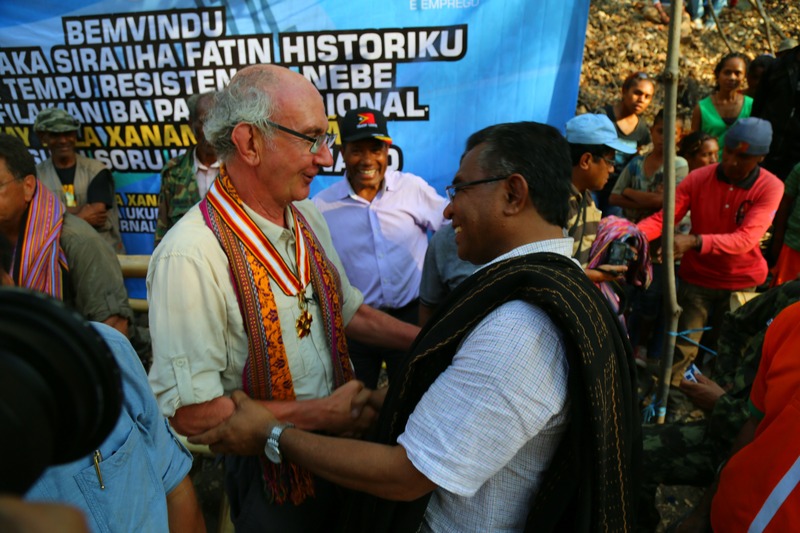 It is a tribute to the Timorese people that suffered during 25 years", explained Rui Maria de Araújo. 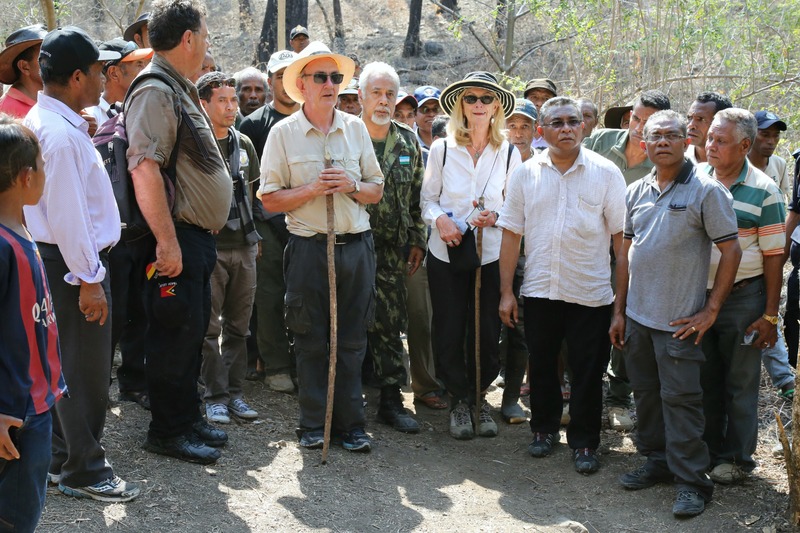 The Timorese Prime Minister also added that "the older generations, the current and the future generations have the obligation to treat this place as 'tara bandu' [sacred] and make this a place for everyone to enjoy. When we come here in the future, we will be reminded that this is a place of the struggle for national liberation and of the long sacrifice for this homeland." It is envisaged that the Ministry of Agriculture and Fisheries, responsible for the management of forests, makes the demarcation of the area of the National Park within 60 days. Three important locations will be marked: the Shelter of Xanana Gusmão, in the area of Ai-Dila-Okir, the place of the first interview and the site where the FALINTIL flag was created. For the then Commander in Chief, Kay Rala Xanana Gusmão, currently Minister of Planning and Strategic Investment, the journalist Robert Domm "came to give us support, because he felt that there were injustices and that his Government practiced some incorrect acts. Now, 25 years later, the ABC chain comes again to recall what happened and find out how we think about the future of Timor-Leste."